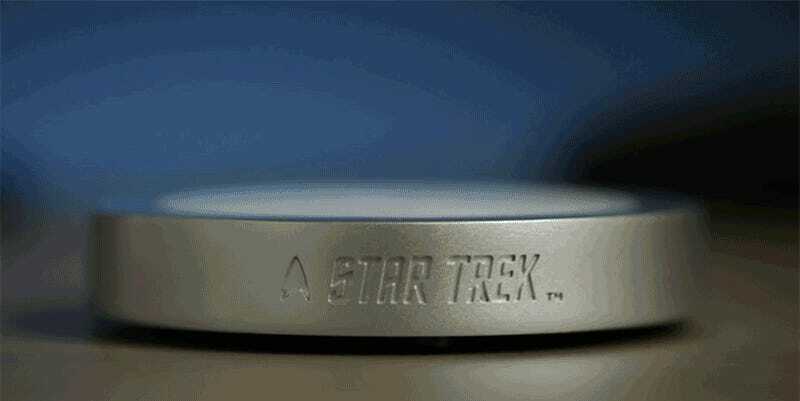 Have the folks at ThinkGeek finally figured out the technology needed to transport matter? Sadly, no. If they did, they probably wouldn’t have used that technology to make a set of Star Trek-themed coasters that look like the transporter pads used on the U.S.S. Enterprise. So the coasters won’t magically transport a festive drink from a glass into your stomach, but they do light up thanks to a flickering set of LEDs inside, and play a materialization / dematerialization sound effect whenever a glass is placed on them, or picked back up.